It was a night to remember for John Gosden and his staff, after swooping to five of the Cartier Awards at the Dorchester last night. The pick of the awards was for his outstanding and versatile three-year-old colt Roaring Lion, who was named the Cartier Horse of the Year. 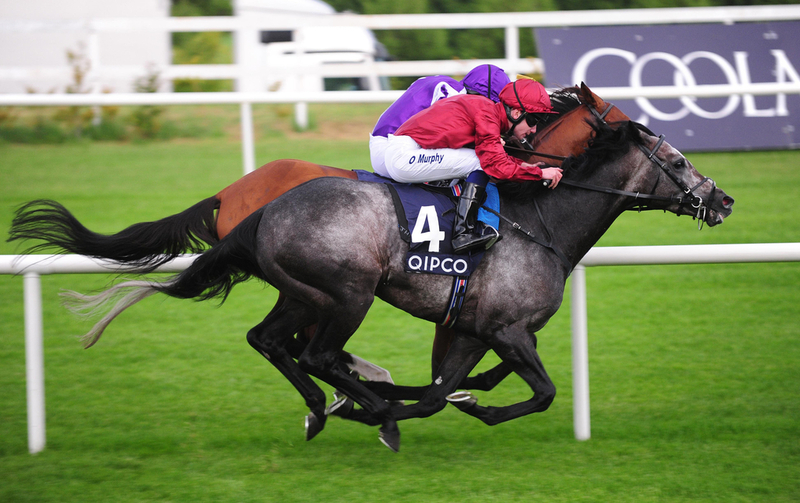 Purchased as a yearling in 2016 for $160,000 by Qatar Racing, the Lion was also named the winner of the Cartier Three-Year-Old Colt award off the back off an outstanding season, winning four Group 1's in a row; three of which over a 1m2f: the Coral-Eclipse at Sandown, the Juddmonte International at York, and the Irish Champion Stakes at Leopardstown. All the races previously named involved great battles with the Aiden O'Brien trained Saxon Warrior, who beat Roaring Lion over a mile in the Guineas. The Lion showed his versatility by dropping back to a mile, and winning on unfavourable soft ground in the QEII Stakes at Ascot on British Champions Day. Roaring Lion - who was also third in the Investec Derby, became the fourth Cartier Horse of the Year in the past five years to be trained by John Gosden, following in the footsteps of Kingman, Golden Horn and last year's winner Enable, who this time, picked up the Cartier Older Horse award. After an injury-interrupted campaign, the wonder-filly returned to her brilliant best towards the end of the season, when winning a second Prix de l'Arc de Triomphe at Longchamp, followed by the Breeders' Cup Turf in America. Gosden's Weatherbys Stayers' Million bonus winner Stradivarius inevitably took home the Cartier Stayers Award and appeared relatively unchallenged. This came after winning all five of his races this season including successive victories in the Group 1 Ascot Gold Cup, Group 1 Goodwood Cup and Group 2 Lonsdale Cup. Dewhurst Stakes winner and current ante-post 2,000 Guineas favourite Too Darn Hot completed the evening for Gosden when the Lord Lloyd-Webber's colt was named the Cartier Two-Year-Old Colt, after three demolition jobs this year. This meant the Newmarket-based trainer Gosden, became only the second trainer to take home a total of five Cartier awards, after Aiden O'Brien achieved the same accomplishment back in 2016. Elsewhere, the Cartier Three-Year-Old Filly award went the way of the Jessica Harrington-trained Alpha Centauri, who set the flat season on fire with her memorable displays in the Irish 1,000 Guineas, Coronation Stakes and Falmouth Stakes at Newmarket. Sadly, she was retired after disappointing in the Matron Stakes, but the first half of her season could simply not be ignored. The Michael Dods-trained Prix de l'Abbaye winner Mabs Cross won the Cartier Sprinter award while Moyglare Stud Stakes winner Skitter Scatter, took home the Cartier Two-Year-Old Filly of the year.